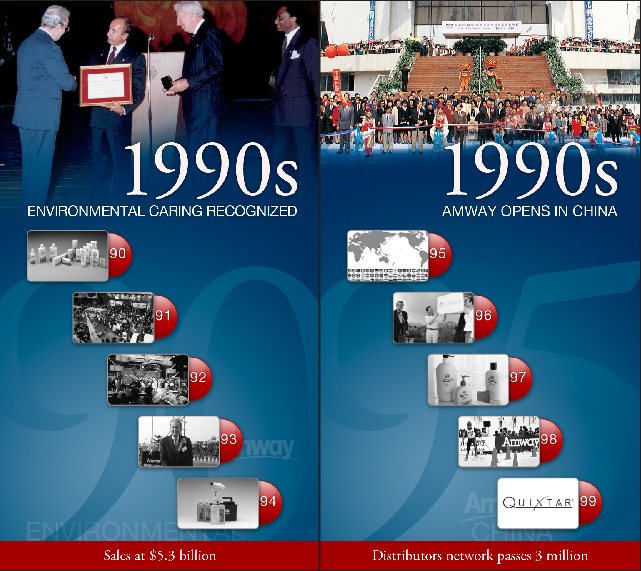 The Amway 50th Anniversary I-Wall traverses on parallel rails, with a moving menu advancing in 5 year increments forwards and rewinding backwards in time, as the visitor moves the screen right or left. 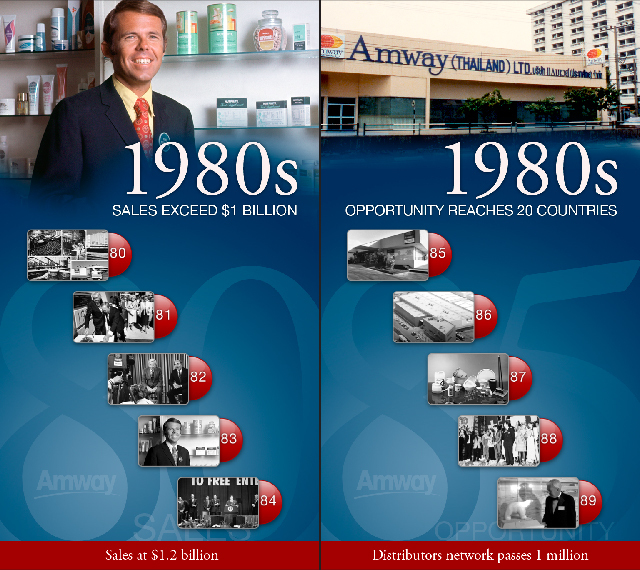 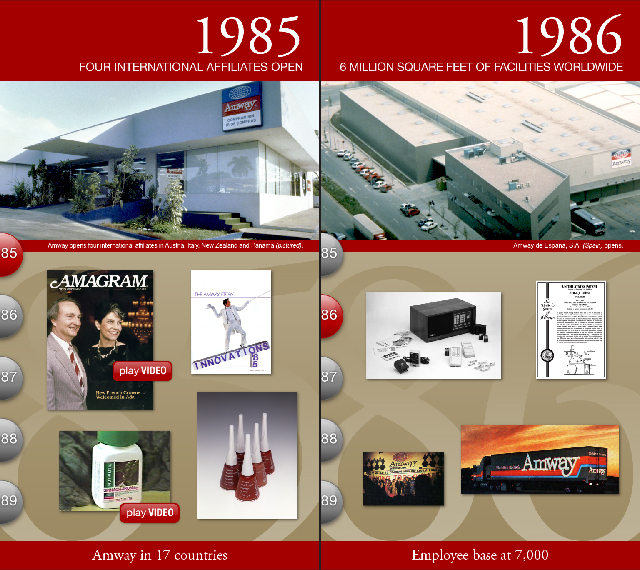 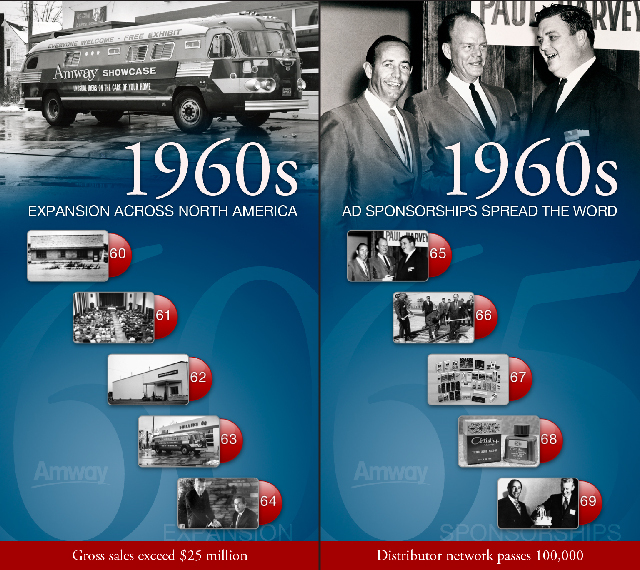 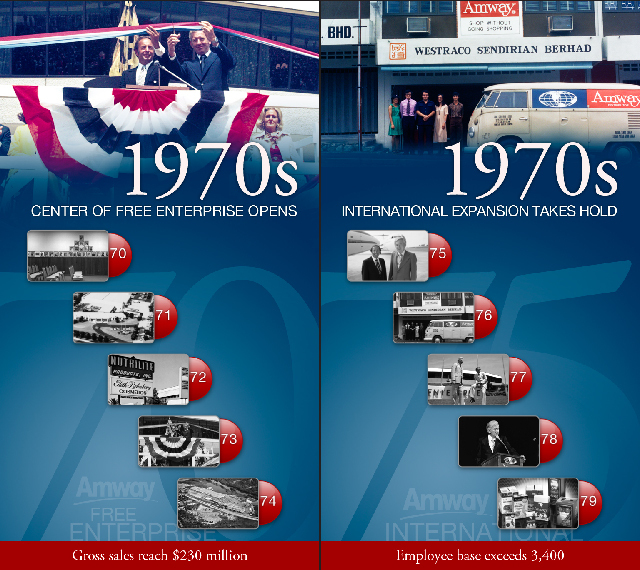 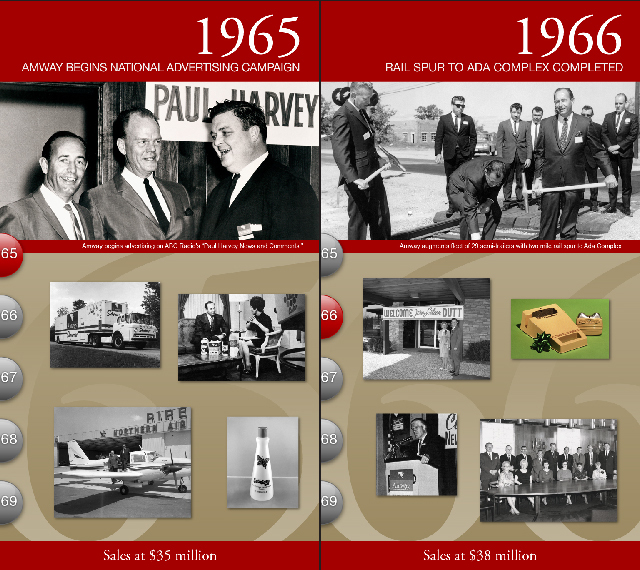 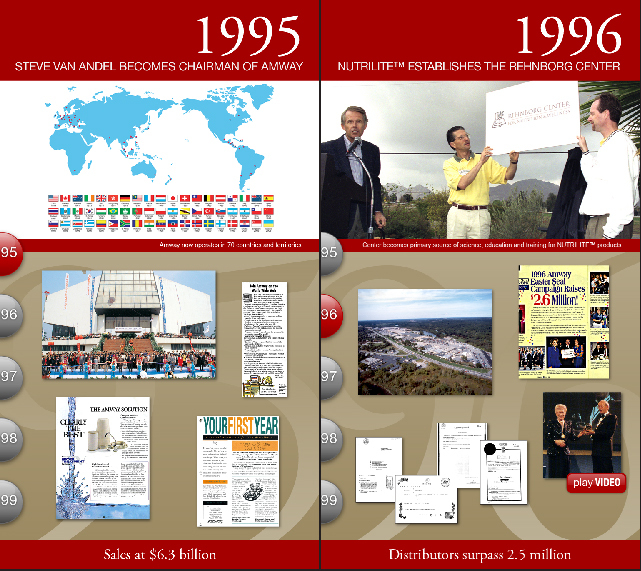 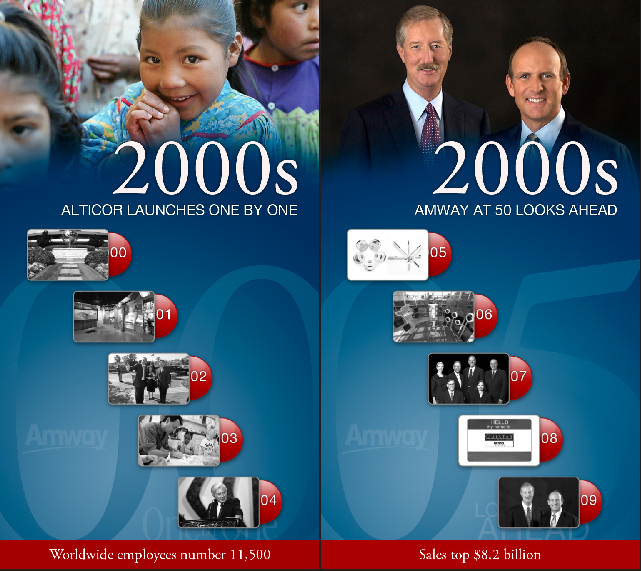 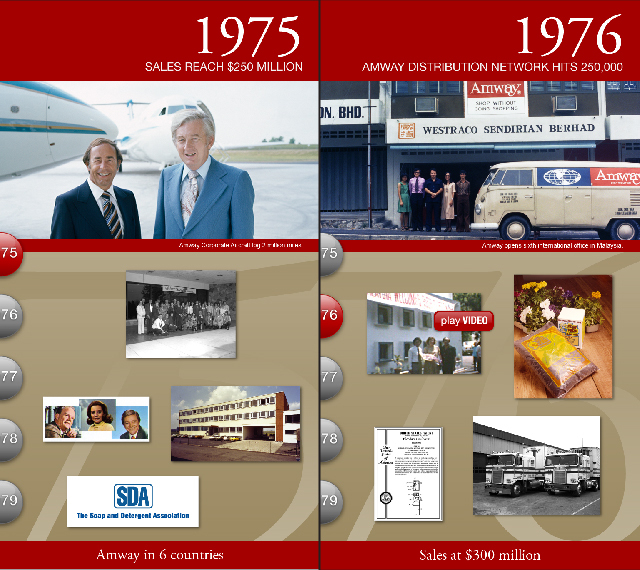 The mural behind the vertical touchscreen features highlights from Amway’s 50 years in business. 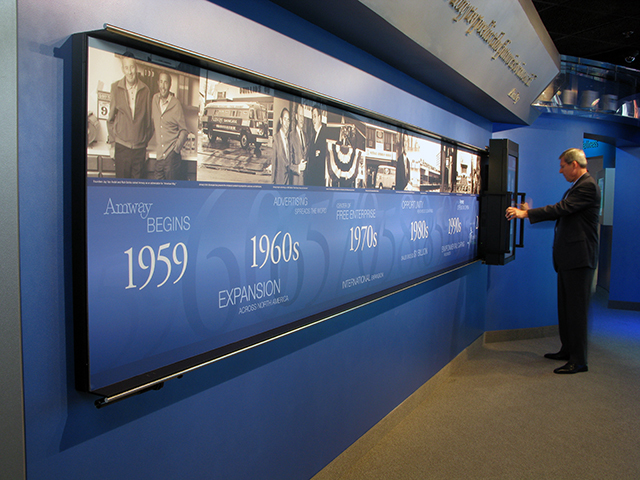 The menu allows for selections of historical photos with captions, as well as archival audio and video segments. 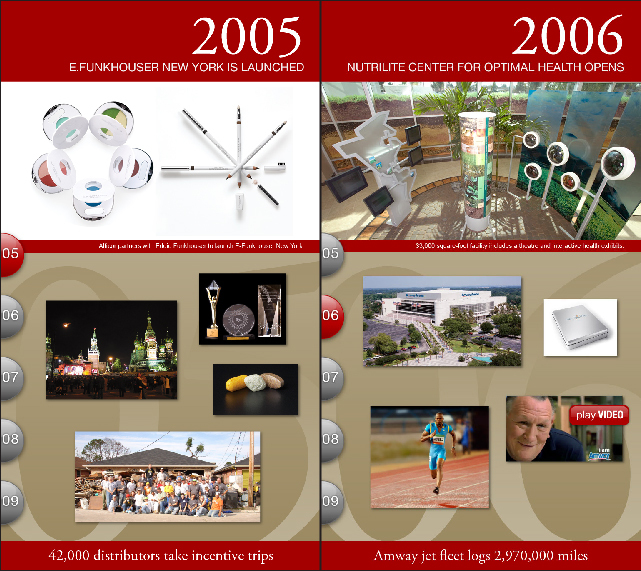 For the multi-national audience in Las Vegas, Whirlwind created a portal menu with nine languages that allowed visitors to switch between languages.